Between 5pm and 9pm on Friday 17 November, art fans will be able to see behind the scenes at Persistence Works, a purpose built, award-winning studio complex in Sheffield city centre. With 53 studios across six floors, Persistence Works can accommodate up to 80 artists and makers, who are inviting people to their studios to see their work, look around their workspaces, and in some cases, buy pieces of art. Residents at Persistence Works include contemporary artists, ceramicists, jewellers, designers and painters, through to metalsmiths, illustrators, sculptors and textile artists. Plenty of opportunity to get Christmas shopping started! The Friday night event is part of a weekend of open studios events organised by Yorkshire Artspace, which has three studio spaces - Persistence Works, Exchange Place and Manor Oaks Studios – in Sheffield. Across the weekend there will be free family-friendly activities, workshops and studio-based demonstrations, plus pop up refreshments at all three studios complexes. For the first time, Yorkshire Artspace has introduced Creative Trails, which will allow visitors to choose from a number of routes depending on what they want to experience. Each trail features eight artists, and a suggested spot for lunch and a pint. We love the sound of the Christmas Shopping Trail! If you love art, Friday 17 November is the evening to hang about and enjoy Sheffield after 5pm. 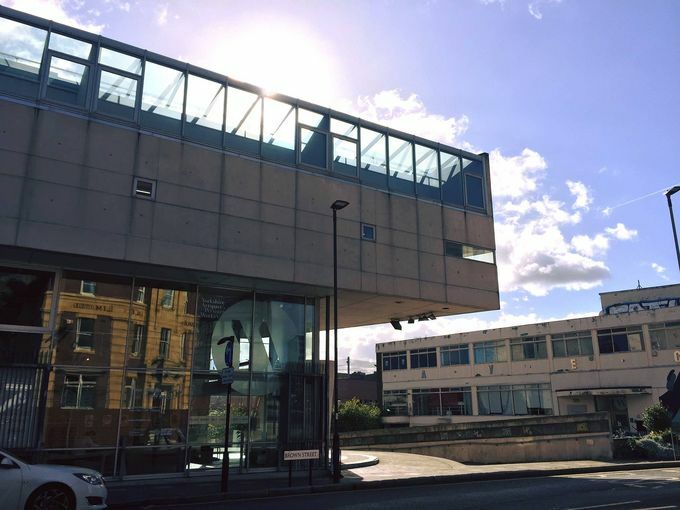 As well as this fantastic event at Persistence Works between 5pm and 9pm, The Great Sheffield Art Show is holding a preview evening at Millennium Gallery from 7:30pm. Check out some of the city’s bars and restaurants beforehand and really make a night of it.